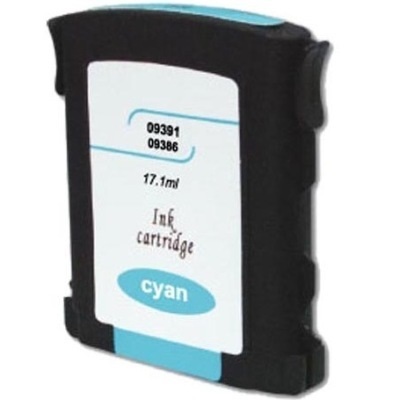 Remanufactured HP Ink Cartridge, Cyan, High Capacity 1,700 page yield. Replaces HP part number: HP 88XL Cyan, C9391AN, C9391AN#140, C9386AN, C9386AN#140. Great product and great price. Highly recommended. Great item, great ink, great service and speedie delivery. Excellent replacement product, high quality and fast shipping. Working just as stated. I will buy again. Great product at a great price. Highly recommend. Shipped fast and works great, all for an unbeatable price! Gest Deal for your buck!! Thankful that your company offers remanufactured HP cartridges. Tried using other local companies' cartridges, but they don't work. You have to turn off the HP cartridge function, and I could not find it on my printer. Best deal for the buck!! Thank you Ink Technologies. Excellent quality...fast delivery...good price. I will recommend this to my friends. Works just as well as the original HP ink cartridge that came with the printer. Why pay those ridiculous HP prices? Definitely a great buy! Remanufactured HP Ink Cartridge, Magenta, High Capacity 1,700 page yield. Replaces HP part number: HP 88XL Magenta, C9392AN, C9392AN#140, C9387AN, C9387AN#140. Remanufactured HP Ink Cartridge, Yellow, High Capacity 1,700 page yield. Replaces HP part number: HP 88XL Yellow, C9393AN, C9393AN#140, C9388AN, C9388AN#140.